Well it is Monday again, which means it is time for another of our CCEE challenges. 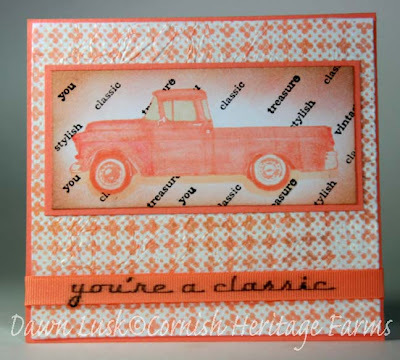 Thanks to everyone who joined us last week to play our Thumping challenge ... it was fun to see all your wonderful cards. 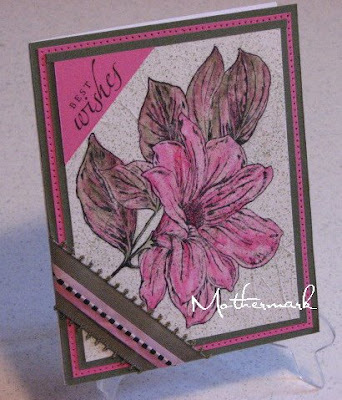 This week we again have another "technique" type challenge which was giving to us by our head cheerleader Tosh .... this week we were to create a card using the Faux Silk technique. You can find a tutorial for this technique here. Cindy Haffner suggested a bonus challenge this week which was to include an "Owl" on our cards, this was an optional extra. 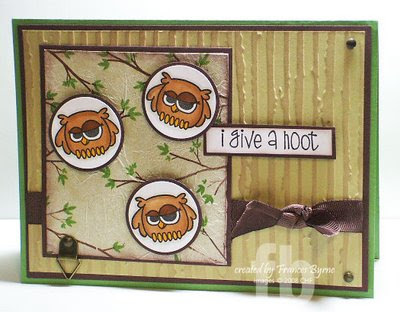 Again we would love for you all to join us and play our challenge this week .... if you don't have an owl stamp you can still play .... we would love to see your faux silk cards. 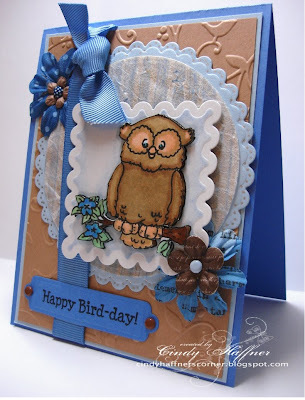 So why not check out the tutorial and then post a comment here so we can see your card. If you upload to SCS don't forget to add the keywords "CCEEC". How delightful! That technique just looks awesome. Boy, Tosh is making everyone work, isn't she? ?